WeLoop Tommy Smartwatch 1.26:- WeLoop Â Tommy smartwatch 1.26 is a newcomer in smartwatch market. WeLoop Tommy has entered in market with a bang. WeLoop Tommy Smartwatch 1.26Â is feature rich gadget with a huge battery life. As smartwatches is new trend in market more and more brands are coming up with these devices.Â It can reduce the time to take out our cellphone by various reminders, like calls, news, messages,etc. Â Its main attraction is it huge battery life which last up to 21 days on single charging. You will get a megnetic charger and user manual along with Â WeLoop Tommy Smartwatch 1.26 in a black box. It is available in three colorsÂ Red, White and Black. Build. You can use the app to control the notifications. You can read the messages, emails etc . You can also control media player, camera and get incoming call notification and cancel the call using the back button from the watch on the watch itself but you have to use your smartphone to accept the call as this smartwatch does’t contain microphone and speaker. Tommy smartwatch will vibrate when there is any notification. WeLoop Tommy Smartwatch is water proof smartwatch and can survives in water up to 50 meters so youÂ don’t have to worry about our watch whileÂ swimming, diving and surfing. Smartwatch is light weight at 36 grams and is about 10.74mm thick. 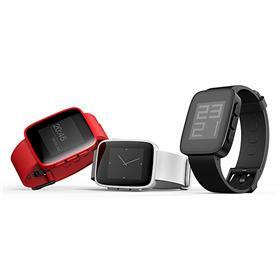 No doubt smartwatches save our efforts but only if they are light and stylish nobody like ugly and bulky smartwatches. It also include four side buttons which makes it unique from all other smartwatches available in market. Four side button can be used to switching music, controlling camera of smartphone or confirming notification. There is no power button for watch to turn it on or offÂ the moment you open the box pack you will find that the watch is on and this is its biggest disadvantage Â that it is always on. Its main attraction is its battery it featuresÂ 110 mAh battery. It get fully charged in just three hours and last long for 21 days on normal usage.